About Me – Know The Person Behind! I am a family man and always will be no matter what happens! There is little doubt that more people today are interested in the use of military gear and equipment for outdoor activities. My blog is dedicated to helping people find the right gear that is of the most benefit when they are hunting, camping, or hiking in the great outdoors. My name is John Winger, I was born and raised in Virginia. I spent a good part of my early adult life in the US military, namely the Army and served in Iraq. I saw my fair share of combat missions and thanks to that experience I have a better understanding and appreciate for what my country means to me and the world. Of the many experiences that I had while serving in the military was using the military gear and equipment that was part of my everyday life. When I was honorably discharged, I kept my interest in this type of equipment which I now use when going out hunting, camping, or just hiking along the many outdoor trails in my home state. 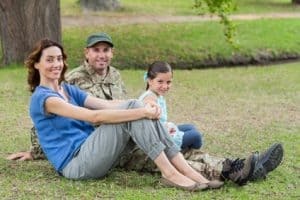 When I came back from overseas and rejoined the civilian world, I noticed the interest in tactical gear and military equipment being used by my friends, family, and people around the country. So, I started this blog in the hopes that I could share my experiences and provide people with a little insight as to what is available, its quality, and usefulness when outdoors. This is how Tacticalogy.com born. I have created a blog where I discuss the latest tactical and military gear that is available to the public. I use my years of experience which includes my service in the Army and from outdoor activities to provide insight into what type of gear works best. However, even with my extensive experience, I have reached out to others in the field to help provide another perspective. With my effort and the help of others, I write reviews of various types of tactical gear that ranges from backpacks to flashlights, watches, vests, tents, sleeping gear, and more. I try to cover the broadest range of tactical equipment and rate them on their usefulness, durability, and overall quality so you can make the best-informed decision about what to purchase. Over the past few months, I’ve seen the audience for my blog grow thanks to the participation of our readers considerably. I am humbled by the interest shown in every review, news, and stories that are posted on the blog. My hope is to continue our success with your participation as it is what makes our blog so unique. As knowledgeable as my fellow experts and I are when it comes to tactical and military equipment, we can always use your help. This means providing suggestions on what equipment we should review, pointers on how you used tactical and military gear in your outdoor adventures, and provide feedback on our reviews so we can do a better job of providing the type of information you need.